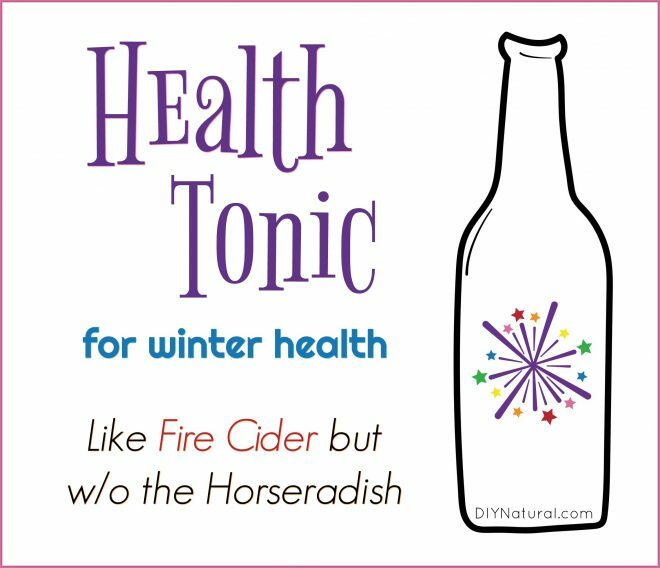 Fire Cider is a powerful tonic that will wipe out even the worst virus or bug, and encourages better health throughout the year. It has so many good things going for it… except I’m not a fan of horseradish. Even though I know it’s really good for me, I’ll go out of my way to avoid it. So I came up with a winter health tonic with similar benefits, but different ingredients. Most immunity boosting drinks such as Fire Cider or Master Tonic start with vinegar. Apple cider vinegar is best in this case, since it contains many nutrients. 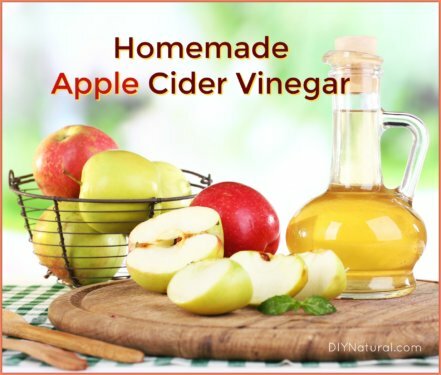 (Learn to make your very own apple cider vinegar, or buy it here.) It can help pull compounds out of herbs and spices easily and still remains shelf stable. You can use this for a base, or you can use apple cider or another fruit juice. If you use a juice, it’ll need to be treated differently and it will need to be kept in the refrigerator since it’s not shelf stable. I’ll include recipes for both. Like Fire Cider and Master Tonic, you can start with citrus. I use a lemon, a lime, an orange, and a grapefruit. They all have different beneficial properties, but all contain Vitamin C and other antioxidants. Wash and cut these into chunks the size of ping pong balls, peels included. Throw an apple in, cut into chunks as well. Remove the seeds as these contain small amounts of cyanide and you don’t want to take a chance on extracting any into your mix. The dose would be relatively small, but it can build up if there are too many seeds present. Next, add some roots. Ginger is a great choice. Grate for more surface volume and easier extraction. In place of horseradish, I use a combination of turmeric and galangal, an Asian rhizome closely related to ginger. You’ll get spice and heat, but it’s much milder than horseradish. Cut these into small chunks, or you can grate it like ginger. Cayenne (or another hot pepper) is a must. The spice helps to kick any nasties out of your system, often before they can take hold. Roselle, or sorrel hibiscus, will add lots of antioxidants, as well as turning it a dark red color. If you have it in your area, use red sumac berries for more antioxidants. Hardy oranges grow in abundance in my area. Not a true orange, these small fuzzy fruits are very tart and juicy. They will add great flavor and antioxidants. Herbs such as thyme, rosemary, oregano, and any mints will also be a nice addition. 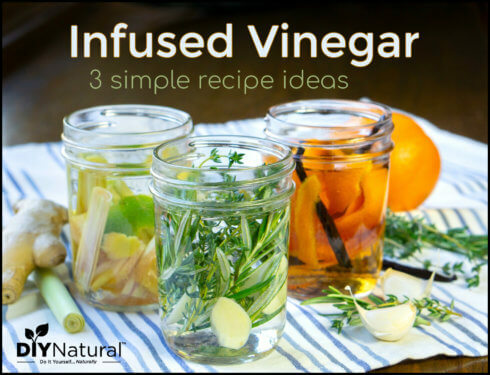 If you are using a vinegar base, you can place everything in a gallon glass jar and cover ingredients with vinegar. Stir thoroughly, cover with plastic wrap or waxed paper, and put the lid on. The plastic wrap helps keep the vinegar from coming in contact with the lid. Leave this on the counter for a few weeks, stirring occasionally. When it’s done, strain it, bottle, and place in a dark place to keep it from degrading. This will keep for many months. If you’re using a juice base, you’ll need to decoct the mix. Place all ingredients in a large pot, such as a stainless steel stock pot. Cover with whatever fruit juice you decide to use and place the lid on the pot, inverted, so that the top of the lid is in the pot. The reason for this is to catch any of the good stuff that might otherwise escape with the steam. It will condense on the lid and drip back into the pot. Simmer for a few hours until the roots are soft. Cool and strain. This can be kept in the refrigerator for a week or so, or you can freeze it. I put it into an ice cube tray and freeze it in individual doses. Once frozen, remove from ice cube tray and store in a freezer-safe container. Use a few tablespoons in a glass of water. Add sweetener if you like. I mix my tonic in hot water, add a bit of local sorghum, and enjoy as a warm drink. You could also ice it for a refreshing drink. 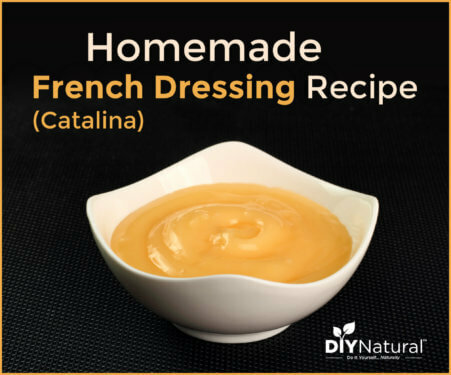 Make a salad dressing with it. Add a bit of olive oil, some cracked pepper and sea salt, and a few fresh herbs chopped in it make a great dressing. Have you ever made a health tonic before? If so, what were your favorite ingredients to add? How did it work? Yes, I would like to know the exact measurements for the vinegar base as well. I work better from recipes and then adjust as needed. Hi Cynthia! I just answered Patti’s question above, which is what you wanted to know as well. The amounts you use are really up to you. There is no exact recipe because everyone has different tastes. Hope this helps you too! Debra, what are the exact measurements for the ingredients for the fruit-based fire cider, and what juice would be best? There really are no exact measurements, Patti. I just throw in whatever I like. For the fruit, I’d do one of each, for the ginger and other roots, maybe a handful shredded and for the onions and garlic, one each. The amount you use really depends on your personal preference. I love grapefruit, so I use more of that than anything else, but you may not like it as much. Cover with vinegar or juice. The amount you use is what it takes to cover what you have. And you can use any juice. I like apple cider since I can get local here, but you could use orange, lemonade, grape, or even pear. Just be sure to refrigerate it if you use juice instead of vinegar. Hope this helps!